Replatforming – Total Overhaul or Gradual Update? To stay competitive in ecommerce, it’s important to periodically assess the effectiveness of your ecommerce platform. Are the tools available to you meeting the demands of your business? Has the design become outdated or ceased to be user-friendly? Have customers expressed frustration with the frontend shopping experience? Is it challenging or time consuming to make the smallest changes to the site – either to the frontend or in the back office? Has your business outgrown your existing platform, or beyond the expertise of those currently managing your site? If so, it may be time to update your ecommerce platform. After assessing the capabilities of your current platform, you may conclude that while updates are needed a complete overhaul of your site is not feasible or appropriate in the short term. So what are you to do? Is it better to stick with your current site, hoping to make it last until you do have the necessary resources to replatform? Or look for a solution that will let you gradually update your site and systems until you have the features you need? Your course of action – complete overhaul or gradual adoption of new systems – will stem from the specific reasons you want to update your site. The size and complexity of the site has made it difficult or time-consuming to manage. Even basic design updates or simple inventory actions require significant staff time or custom coding. Legacy systems you have relied on in past are no longer matching the demands of your business. It’s time to start from scratch with tools that more closely align with how you operate your business today, and how you expect to grow in the future. There is immediate need to improve the efficiency of your back office tools. A unified back office or OMS provides ample opportunity for process improvements and cost savings. If your business has adapted a variety of programs over the years to meet back office demands, replatforming is an excellent opportunity to bring those tasks into one area and allow your employees to become more efficient and effective. Your business has grown beyond the technical capacity of your existing platform. Many ecommerce companies start small, sometimes relying on in-house technical capacity. But as online shopping has evolved and grown, so to have the technical demands of maintaining your site. It is important that your platform be capable of supporting your current and future business demands. Replatforming with a scalable ecommerce provider will ensure you can and will. Mobile responsiveness and site speed are concerns. As moreand more customers shop from their mobile devices, having a site that can provide an optimized experience no matter the device is crucial. If your site is not already mobile-ready, then replatforming with a responsive or mobile-ready design and attendant speeds is your best option. You have committed time and thought and outlined business needs and goals for your new platform. The more detail you have about what features you need in an ecommerce platform – and how those features will help your business grow and succeed – the more successful your replatforming effort will be. Your site works largely as designed, but needs some minor but not comprehensive performance improvements. The back office systems meet current demands and allow you to provide the quality of customer service desired. Moreover, these systems are well understood by your team, or retraining is not within the current scope of the project. The visual layout is still user-friendly and provides a tolerable mobile experience for customers. The design may need refreshing but generally meets customer demands. A more comprehensive redesign may be necessary in the future, but the need is not immediate. While you understand the need for making changes, the demands of your business are evolving, making it difficult to define the features you need from a new platform. You may be expanding into new markets, shifting focus from one audience to another, or rolling out a new catalog of products. As stated above, well-articulated business goals make the redevelopment/replatform process more effective and more efficient. If you aren’t able to identify those for your entire business, but can for one area (e.g. back office functionality, frontend user experience), a gradual approach is the better way to go. Even if replatforming is the better option, limited resources may require a moregradual approach. Find an ecommerce partner that is willing work with you to understand the long term aim of your decision to replatform, and who is willing to work with you through the challenges currently standing in the way of those goals. A new platform and site design can improve traffic and conversions, increase AOV and reduce abandoned carts. They will provide you with tools to more effectively engage your customers, to respond to the shift towards mobile, and take advantage of the new ways people are using social media for ecommerce. The right platform will help you meet current and future business demands, and allow you to grow in ways you might not be able to anticipate. Whether your business is ready to commit time and resources to replatform your ecommerce site, or if your situation needs a more gradual approach, now is the time to consider the potential rewards that a revitalized site can bring. This entry was posted in Checkout Management, Cloud, CDN and Scalability, E-commerce Trends, Inventory Management, Mobile eCommerce, Order Management, SEO and Marketing, Shipping and Fulfillment. Bookmark the permalink. Upshot Commerce is the most customizable, on-demand ecommerce software solution. Ever. 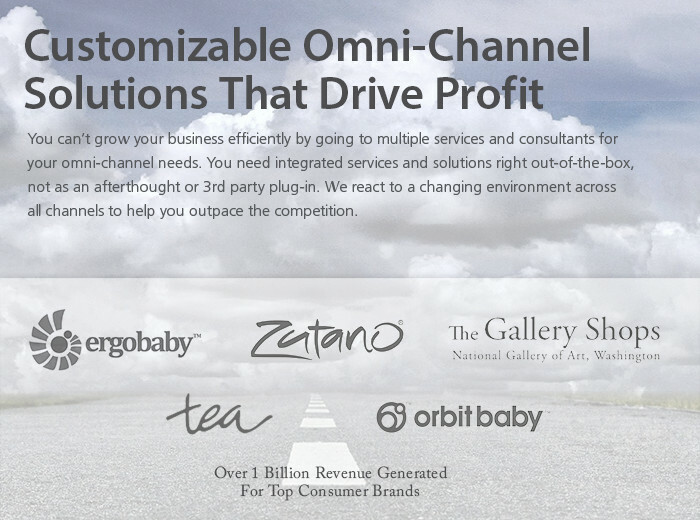 We provide a suite of enterprise-ready features to start or migrate your cross channel, convergent commerce efforts. Legal Disclaimer: Logos, Trademarks and/or copyright marks are owned and registered by their legal owners. The use of any logo, trademark does not constitute endorsement of any product or service.